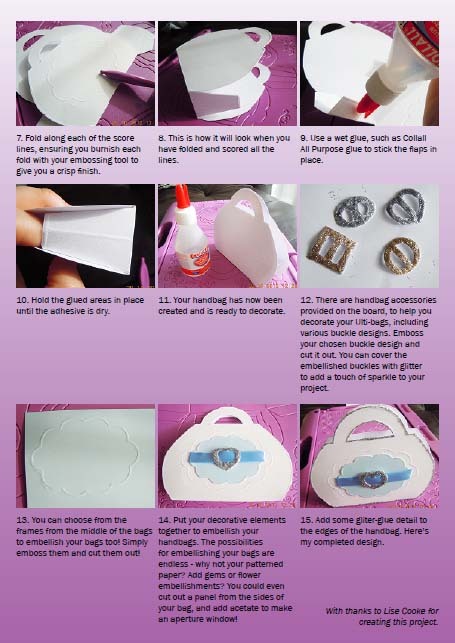 An essential tool for all crafters with lots of Add on accessories to expand your crafting capabilities even further! 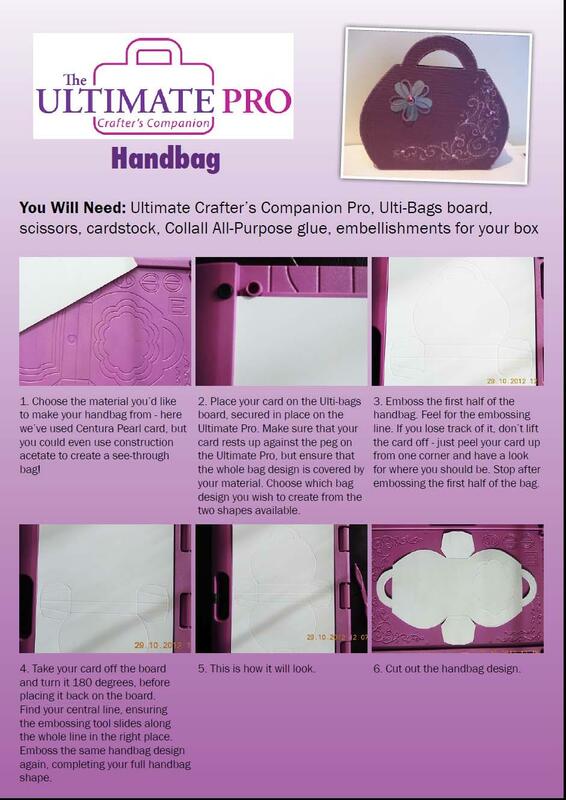 The Ultimate Pro by Crafter's Companion is everything you will ever need for your card making projects, in one handy and portable carry case. 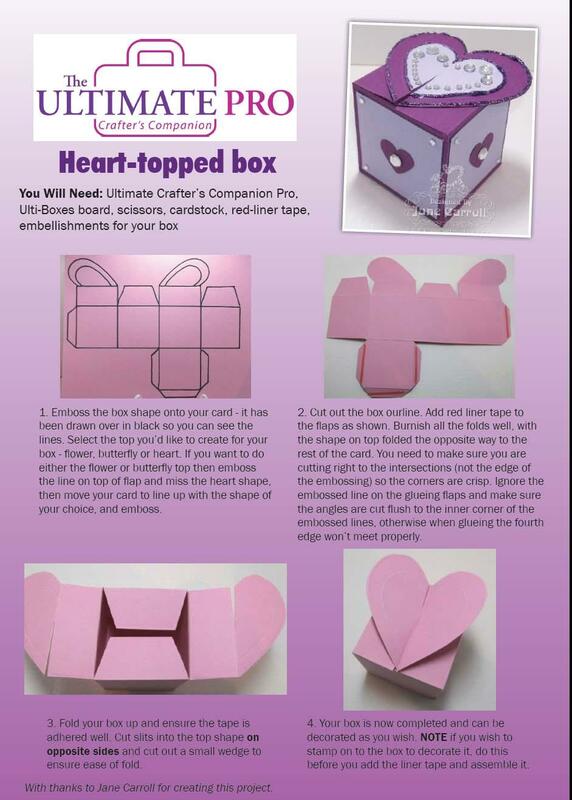 It builds on the features of its award winning predecessor (The Ultimate Crafter's Companion) and is designed to take your crafting onto the next level by providing an array of crafting utilities at your fingertips. Great for crafting on the move...everything you need in the one box...ask any crafter and they'll tell you how essential the Ultimate Pro is in their crafting stash. 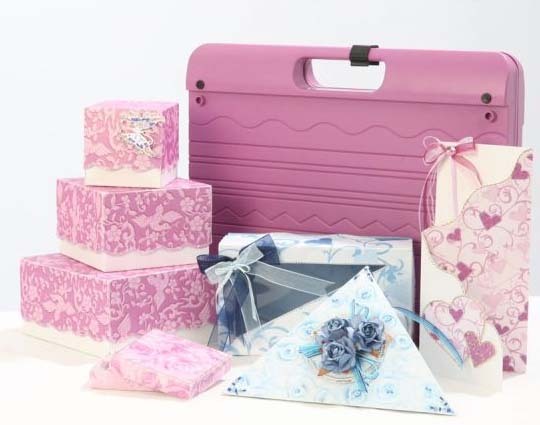 Also watch out for add on embossing boards to build your collection and further your capabilities with even papercrafting CD's designed to compliment the boards beautifully. An array of boards with different themes, projects and designs available now and coming out in the future too! Making your own boxes to display your products is so easy with the Ultimate Pro! 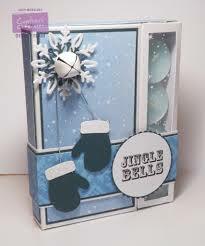 Just see for yourself how easy it will make crafting for you in the tutorial YouTube video we have included on this page, sit back and enjoy! 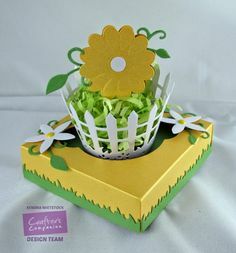 the enclosed book give good directions for box making, exploding boxes,box wedges, card popping, envo box and envelope making. the pro is also a good storage for card stock x fancy paper, on the side your supposed to keep the extra boards.